I absolutely love breakfast foods, I think restaurants should serve them all day, and breakfast for dinner is one of my favorite things. 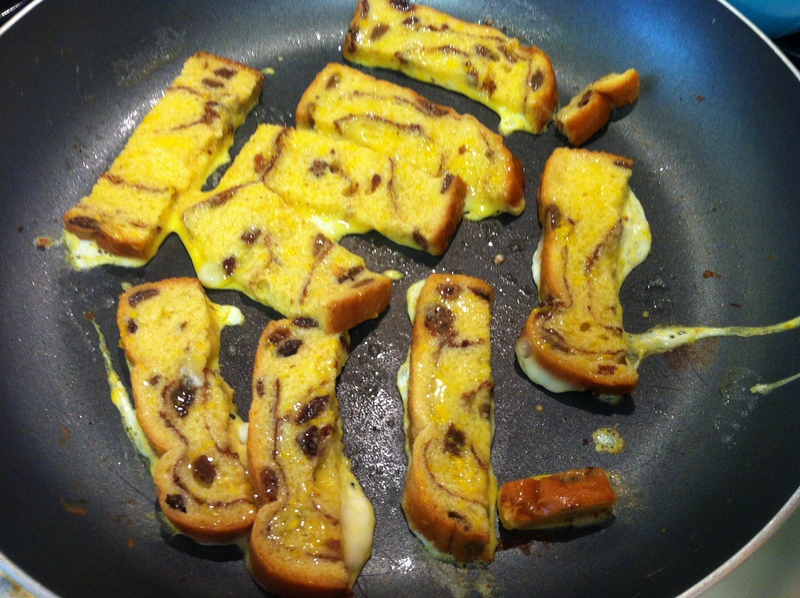 Until a few years ago I was never a big fan of French Toast. 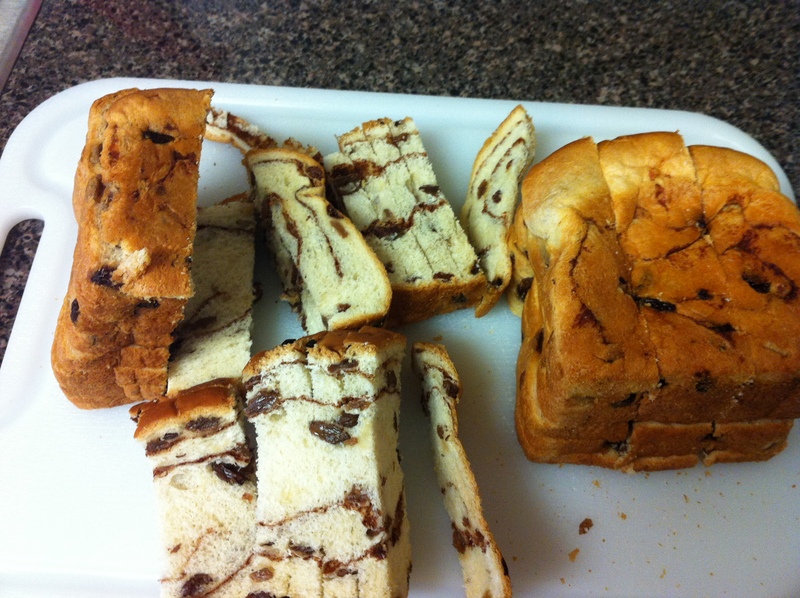 I know, I thought it was strange too, bread, eggs, cinnamon, sugar, what’s not to like? 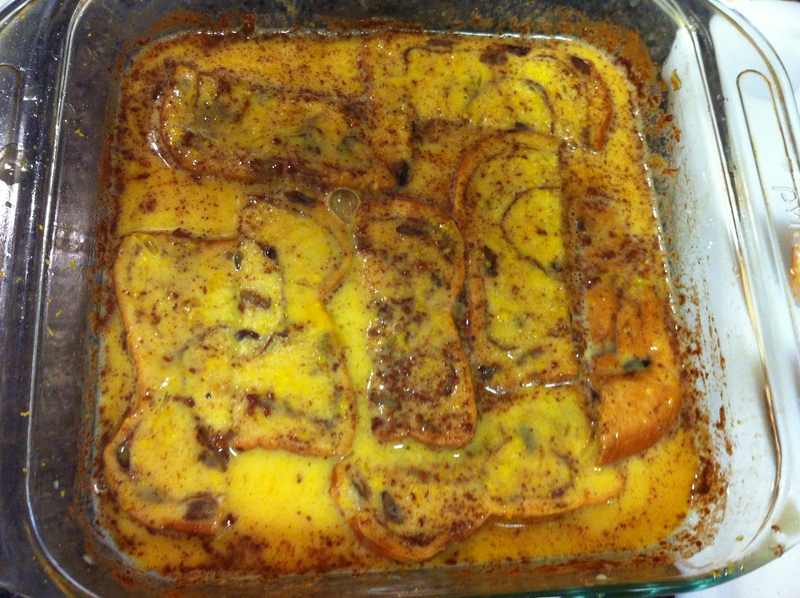 So I played around with different ingredients and came up with this Orange Cinnamon version. 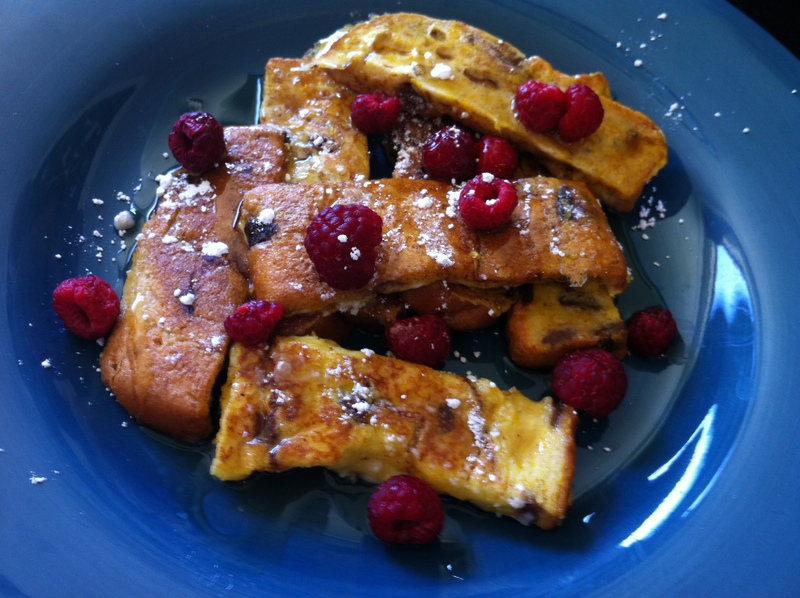 It’s now my go to french toast recipe and it’s pretty delicious if I do say so myself! 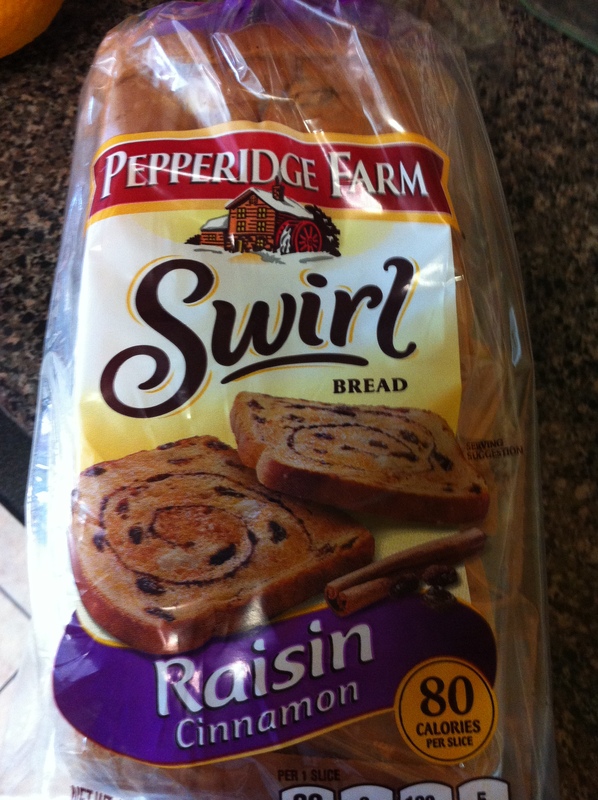 First buy some cinnamon swirl or cinnamon raisin bread, this is an absolute necessity, don’t even try to make this with regular bread, it won’t be nearly as scrumptiously delicious. Then cut it into thirds. Part of the reason I was never a huge french toast fan was that I always thought the center wasn’t done right, it was too egg-y or something, but cutting it in thirds eliminates that problem. 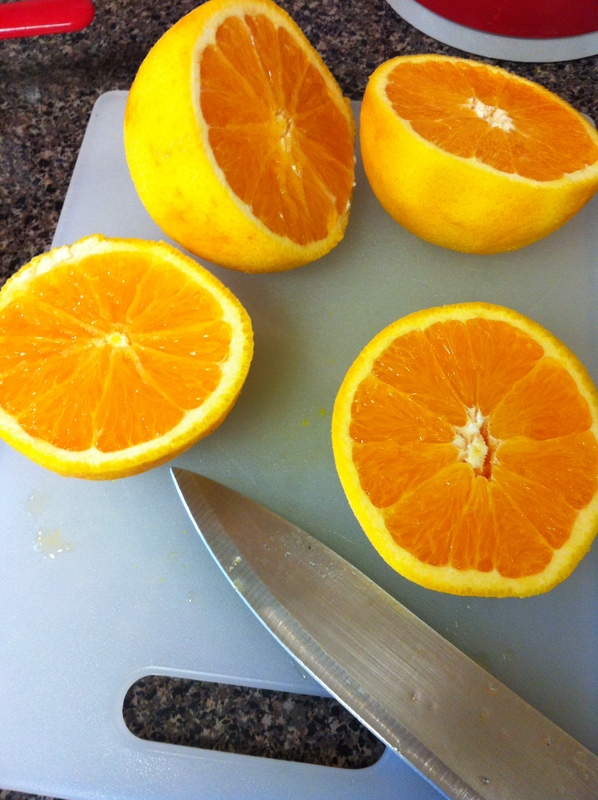 Then zest 2 oranges into a dish and then add their juice. Crack some eggs into the dish, add cinnamon and vanilla, and whisk away. Dip the bread slices into the mixture so that they’re completely coated and then place them in a buttered skillet. Cook for a few minutes, and the flip and cook on the other side. Once cooked, remove to a plate and sprinkle with powdered sugar. 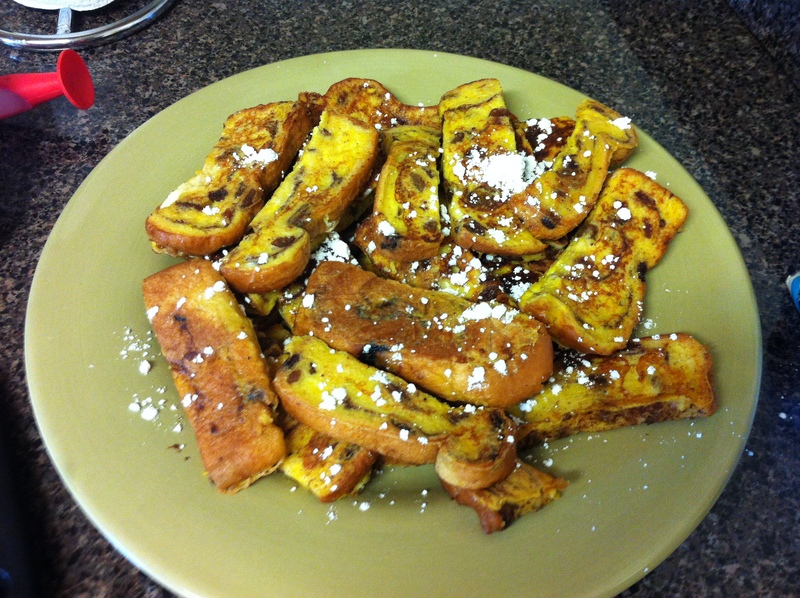 Serve with more powdered sugar, syrup, and fresh fruit if desired. That sounds like a GREAT idea, I think it would be a hit!